If you have received this email, you must have had a great friend share doTERRA essential oils with you! I'm so glad they did! My hope is that this email will help you to better understand oil use and the benefit of your membership. The biggest news this month is the incredible amount of FREE products available! With a 200 pv order in May, you will receive a bottle of Breathe, a bag of Breathe throat drops, a Breathe stick, and a bottle of Cardamom! 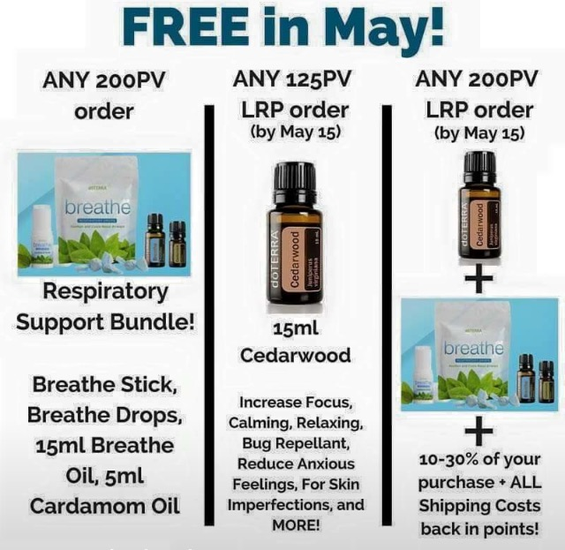 If you chose to take advantage of this for your Loyalty Rewards Order, you will also get a free bottle of Cedarwood as it is the Free product of the month (with a 125 LRP order). If you have questions on how to take advantage of this, please ask the person who enrolled you or call 1-800-411-8151. 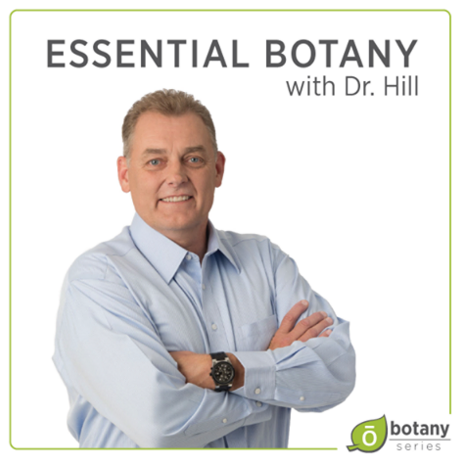 Don't miss Dr. HIll's Botany Series! Our very own Dr. Hill has started a weekly series of essential oil education. Towards the end of each week, he will highlight a certain plant feature, system, or use for us to learn more about these amazing gifts. To follow this series simply "like" Dr. Hill on facebook. doTERRA has updated the main website to include a bunch of great links. No need to scour the internet for great recipes and tips for oil use! Simply follow this link, https://beta.doterra.com/US/en, and look for the tab titled "our advocates". From there you will see lots of helpful links for all things related to essential oils. My favorites are the product and science blogs! Essential Oil Education every month! On the second Tuesday of every month, I will be teaching a class on essential oils at my home in New Albany. The classes start at 6:30 and will focus on various themes. If there is something you would love to learn more about, please let me know! This are great opportunities to bring friends who want to learn more about natural forms of wellness. I would also love to come to you to teach too, so please consider hosting! Hope to see you soon!